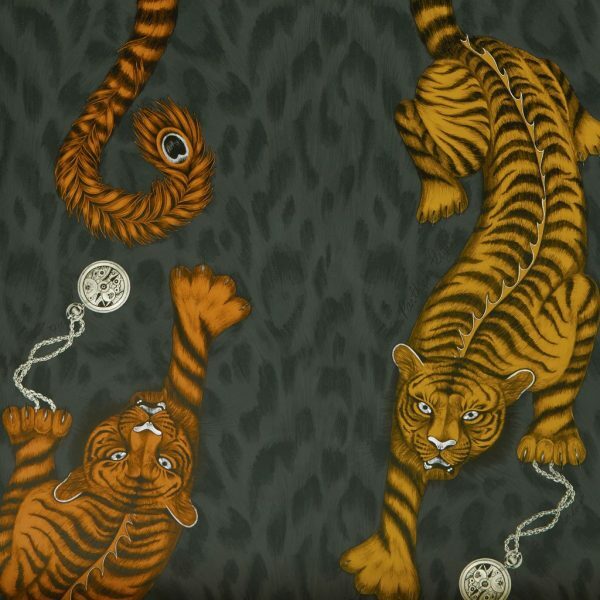 Enter the enigmatic and magical world of Animalia the newest collection of wallpaper and fabrics from the outstanding talents of Emma J Shipley. Each design is painstakingly drawn by hand in pencil, taking inspiration from myths, urban legends and the unique beauty of the natural world. 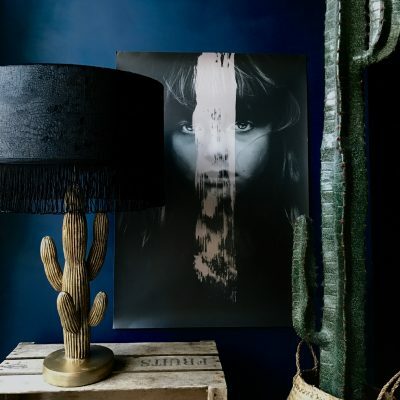 Prepare to be inspired as we have curated our latest lampshade collection around some of our most favourite designs and patterns, The TRIBE collection features Striking tigers, Wild Leopards, sumptuous fabrics and decadent black fringing. 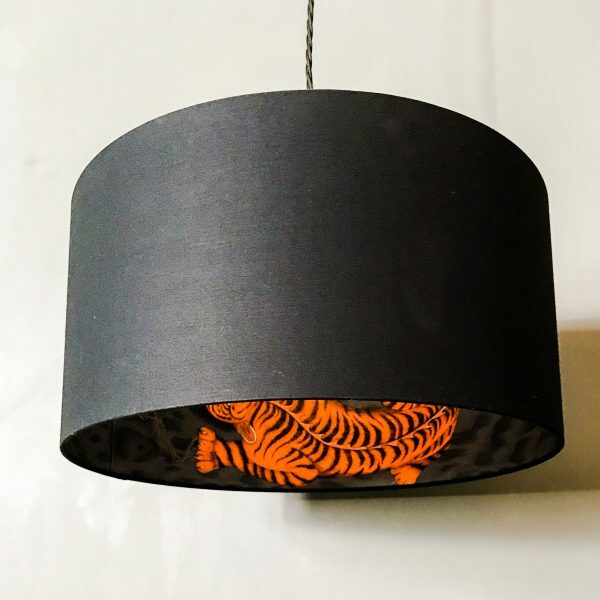 The Tigris Lampshade features a striking tiger on the prowl. Look closer and you’ll see a subtle leopard print on the grey background, finished off perfectly with an injection of fantasy as his tail morphs into a peacock feather and the metallic vintage timepiece. Join us on our magical journey through a fantastical jungle and go wild with your decor with Statement lampshades from Love Frankie. 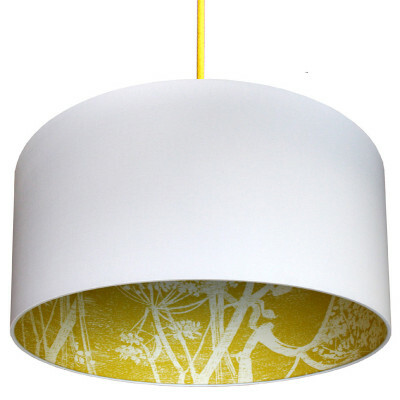 Love Frankie lampshades are made using a high quality flame retardant PVC and an extensive range of sumptuous fabrics. Our frames are made with a 39mm European ring fitting with a 29mm UK reducing ring already fitted that will pop in and out if needed. 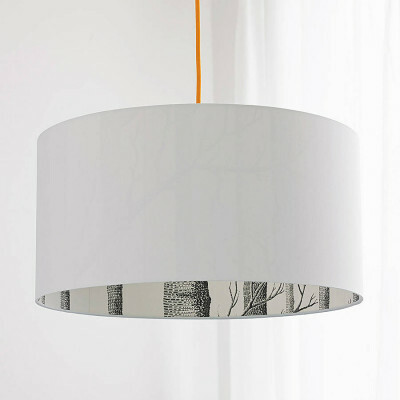 Meaning all lampshades are suitable for both UK or European lamps or flex and fittings. Please contact us if you need any help choosing the right size or colour lampshade, we offer free fabric samples and are on hand to advise on sizing if needed. Although we accept returns they are very fragile to ship so we cannot be responsible for damages on their return journey. 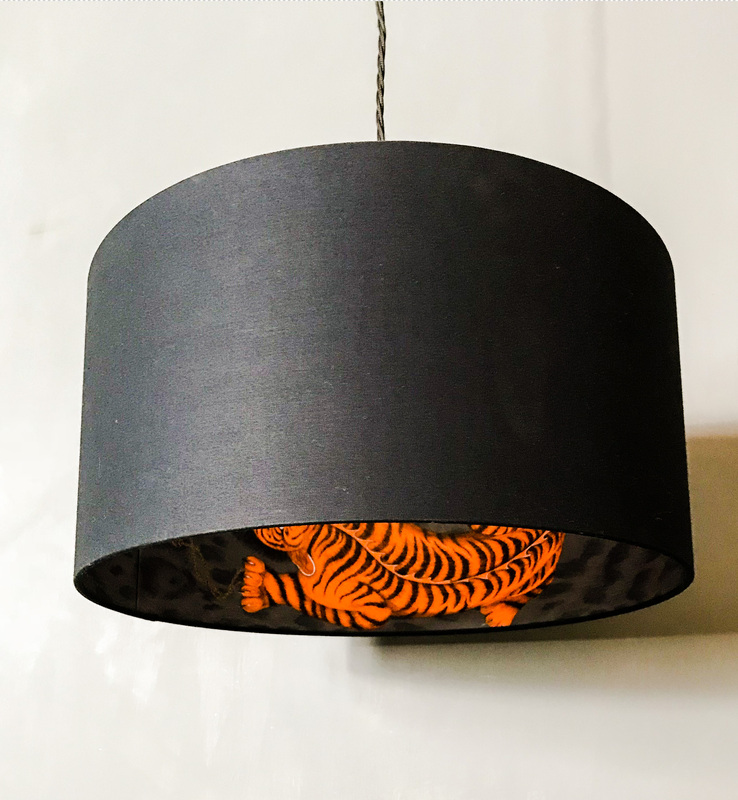 Please also note: Only the Copper tiger featured on this wallpaper will be used for this lampshade.